R Quant Systems serves people and institutions looking for hedge-fund caliber trading systems. We invite you to look at our experience and results and see why our growing lists of clients seek our services. Dean Hoffman, Founder, and CEO Dean Hoffman is the founder and CEO of R Quant Systems LLC. 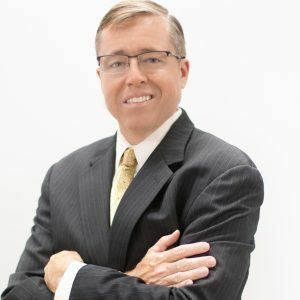 With more than twenty-five years of experience in the commodity industry, Dean has dedicated his career to understanding, refining and improving trading systems and asset management while providing intelligent and balanced investment solutions for his clients. After attending Pennsylvania State University, where he studied computer science, in 1987 Dean Hoffman headed for Chicago, the world capital of the commodities industry. Dean’s vast and varied experience comes from working in many areas of the commodity futures industry where his titles have included broker, trader, brokerage firm owner, trading software developer and money manager. During this period, he also continued to pursue his passion for computer science, studying and developing algorithmic trading systems. The demand for his trading systems kept growing, and in 2001 Hoffman formed his first financial software firm that offered algorithmic trading systems. A few years later his trading systems received high honors by the Futures Truth organization. For two years, one of Dean Hoffman’s trading systems was named as one of the “Top 10 Trading Systems of All Time,” as published in Futures Magazine. * R QUANT SYSTEMS LLC is a developer of trading systems. It does not solicit or accept commodity trading accounts, and it does not provide individually tailored advice. R Quant Capital LLC is a commodity trading advisor registered with the U.S. Commodity Futures Trading Commission and a member of the National Futures Association. R Quant Capital LLC offers a managed account program. Prospective investors should review the current disclosure document for R Quant Capital LLC. *Registration With The Regulatory Bodies or the Trading of Exchange Traded Products Does not Imply Their Endorsement of R Quant. * Disclosure Statement. R QUANT SYSTEMS LLC is a developer of trading systems. It does not solicit or accept commodity trading accounts, and it does not provide individually tailored advice. R Quant Capital LLC is a commodity trading advisor registered with the U.S. Commodity Futures Trading Commission and a member of the National Futures Association. R Quant Capital LLC offers a managed account program. Prospective investors should review the current disclosure document for R Quant Capital LLC.